Valmore Consulting understands how important it is to have trust in the company you hire to manage your private financial information. Our staff are professionals and your privacy is of the utmost importance, with all of your information being held in the strictest of confidence. 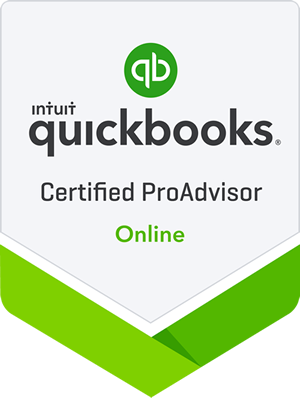 Our team consists of professional and experienced bookkeepers who are financially fluent in a number of accounting software including QuickBooks (we are Advanced Certified in QuickBooks) and Simply Accounting (Sage). Valmore Consulting carries errors and omissions and full general liability insurance to ensure our customers are further protected. Bookkeeping catch-up/clean-up; if your books are in arrears and need back months of bookkeeping performed - we can help! Valmore Consulting provides highly reliable and trusted on-line and remote bookkeeping services for small to medium sized businesses and not for profit organizations. We provide complete bookkeeping services and through outsourcing your books to us, you will experience a cost-effective approach when compared to hiring in-house. Valmore Consulting can service your bookkeeping needs no matter where you are located!